Foreign assignments have become increasingly important as companies strive to tap into resources around the globe. Multinationals and transnational organizations send their expatriates, typically from 18 months to 3 years, to live overseas as a way to transfer the knowledge and culture from headquarters; and also as a way to offer their leaders stretch assignments. Many companies, such as Johnson & Johnson, send only those they assess to be in the top performance category to take on a foreign assignment. An alarming percentage of attrition exists among those repatriates who have successfully completed their assignments overseas. One study estimates that up to 75% consider leaving their employers either during or after working abroad. Bear in mind that many repatriates mistakenly expect that the return to their home country would be simpler than the outbound move. In a research study I conducted on 70+ executives from 26 Fortune 500 companies, I found 33% of those repatriates surveyed decided to leave the company which had sent them overseas, within two years of their return; while another study found the same time period to be 26%. Losing and replacing a middle manager can cost an organization up to 100% of his/her salary. The average expatriate assignment cost per annum is $311,000. Therefore, the Return on the Investment (ROI) of Repatriation is a metric we can tie directly to the organizational strategy, both fiscally and structurally – in consideration of the strength of its leadership pipeline. More inclusiveness of others, especially for those whose styles vary from their own. Displacement. Feelings of being an outsider in their home country offices. E.g. 29% experienced large scale reorganization; 47% perceived as talking excessively about their foreign experiences. Personal Life Issues. Typically, it is the family which applies a lot of pressure on the executive, directly and indirectly. 23% cited this as contributing to high degrees of stress. Nostalgia. 53% of those surveyed experienced an overwhelming nostalgia and longing to go back to the same country to which they had expatriated. Shift of Values. This was especially the case for those who had lived in cultures with starkly contrasted cultural preferences. The most notable shift is from Competition to Cooperation. Global Serial Assignment Urges. These executives become “Global Nomads.” They wish to repeat the experience of living and receiving more rewarding challenges overseas. Companies that endure and remain strong in the marketplace are those which have a “built to change” culture at all levels of the organization: individual, interpersonal, group, inter-group, and the entire enterprise. Home is where the heart is. You know where it is when you feel it. Rossina Gil, MSOD, MAIS, has lived overseas in Spain, Denmark, and Colombia. She is a Leadership and Organization Development Practitioner, and the founder of Corporate Looking Glass, LLC – a diverse consultancy of OD experts and strategic thinking partners. We increase retention. Visit CorporateLookingGlass.com. To Be or Not to Be an Expatriate? The USA has approximately 6.32 million expatriates overseas. 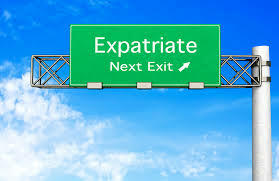 * The term “expatriate” (or “expat” for short) refers to an individual who is living outside of his/her own country. Typically, this term is used for professional workers sent by their companies to regional offices, or to their headquarters – such as Americans going to Japan for Toyota or to Switzerland for Nestlé. I’m 29, 5 years into my career (in a global corporate company), and received an offer for an expat assignment for at least a year in Europe (currently work in the US). How good of a career opportunity is this? Why? Have you had any P&L experience? Have you had Budget responsibilities? How many direct reports have you managed? What all these areas have in common is risk. If you have not had the opportunity to delve into risk, then your successful track-record in a fairly safe arena is not sufficient enough to promote you to a higher level of management – YOU would be too much of a risk, if you have never placed yourself into risk. Timing. It is better that you go now when you are (presumably) single, because then you don’t have to do with the assimilation issues of a spouse. I’ve had some of my expatriates divorce because of the strain of “surrendering” their identity and network for the sake the other’s career. You, on the other hand, are widening your professional network, which is a strategic move. Discovery. Some of my expatriates never repatriate (i.e. return to their country of origin) because they are SO happy with their new home environment. (This made it hard for me to conduct my live action research on the ROI of Repatriation). I would recommend that you take an assessment, or engage a cross-cultural coach, who can help you find a cultural (i.e. country) match for you. You are more likely to thrive in some int’l environments much more so than in others. Intrinsic Rewards. In the short run, this opportunity is not about money. However, int’l experience usually offers “secondary returns” (i.e. rewards that are not monetary). Deciding on whether to go or not depending on whether you will be offered more compensation is an immature strategy. You gain wisdom, open your mind, learn new skills, and… a handful of my expatriates have gotten married overseas. Rossina Gil, MSOD, MAIS, is a Leadership and Organization Development Practitioner, and the founder of Corporate Looking Glass – a diverse consultancy of OD experts who align processes with the Mission Statement. Visit us at CorporateLookingGlass.com.